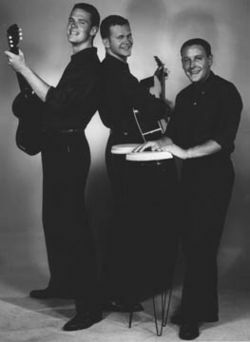 The Kingston Trio was a folk music group from Palo Alto, California who were popular in the 1950s and 1960s. ↑ Gilliland, John (1969). "Show 18 - Blowin' in the Wind: Pop discovers folk music" (audio). Pop Chronicles. Digital.library.unt.edu. Track 5. This page was last changed on 17 November 2018, at 17:32.